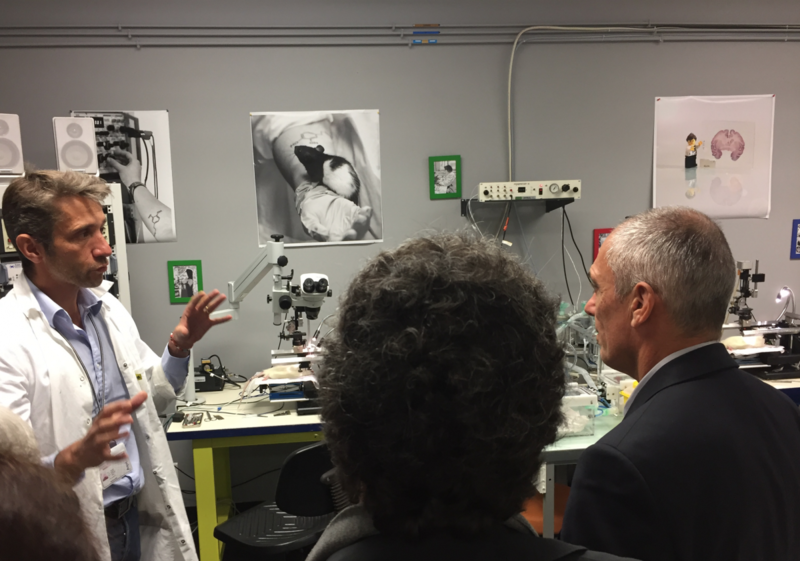 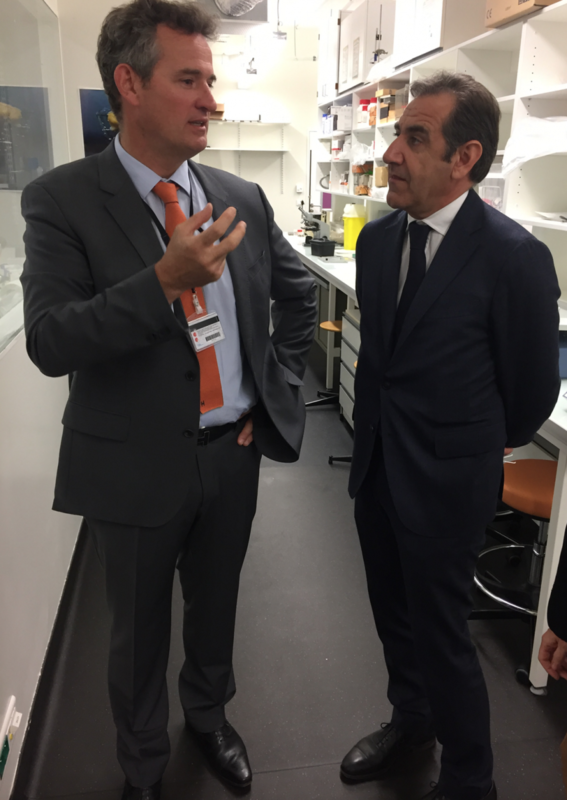 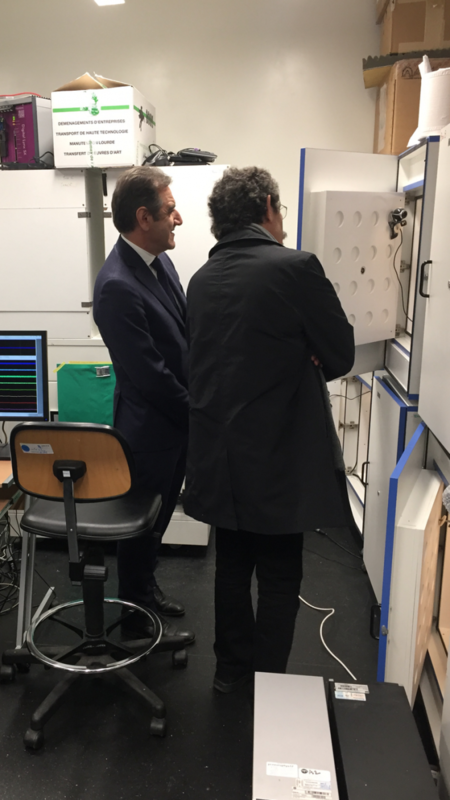 Our laboratory received today the visit of the Chief Executive Officer of CNRS, Dr. Antoine Petit. 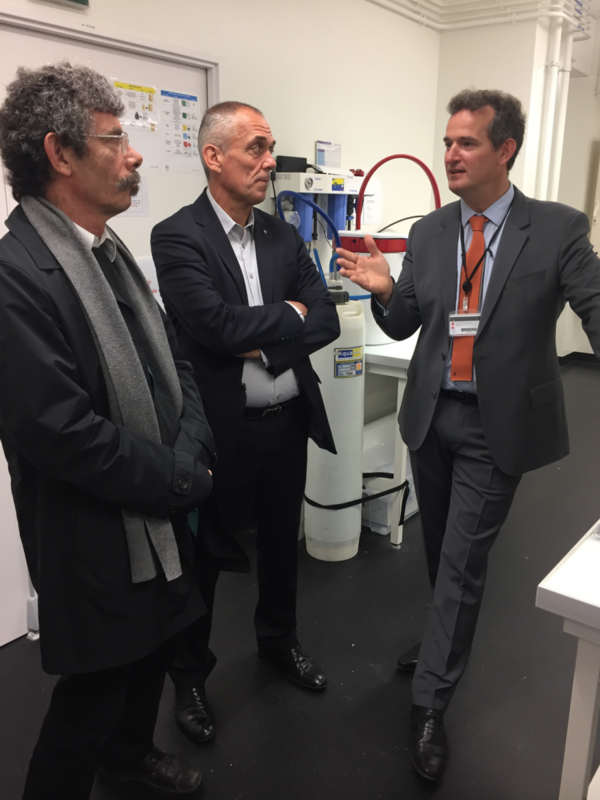 He was accompanied by Dr. Younis Hermes, Regional Delegate of CNRS in New Aquitaine and Dr. Jean-Yves Marzin, Director of INSIS CNRS. 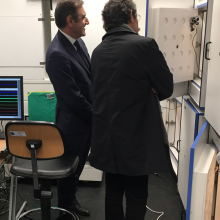 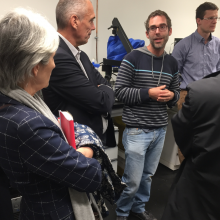 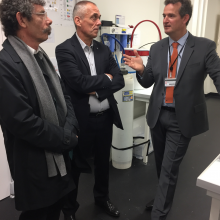 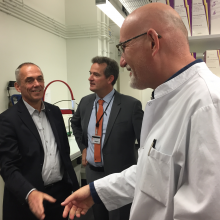 Dr. Antoine Petit was welcomed by the unit directors whose laboratories occupy the Center Broca Nouvelle-Aquitaine, Dr. Daniel Choquet (IINS) and Dr. Erwan Bezard, assisted by Dr. Cédric Lopez, Secretary General of IINS and Dr. Céline Véga-Roïatti, Deputy Director of the IMN laboratory. 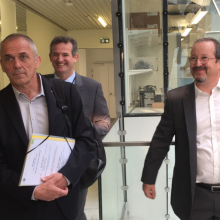 The two directors presented their respective laboratories, both in terms of implemented human and financial resources, as well as on the scientific themes these laboratories address, the techniques they use, and the objectives they pursue in the short and medium term. 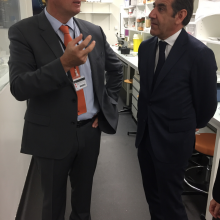 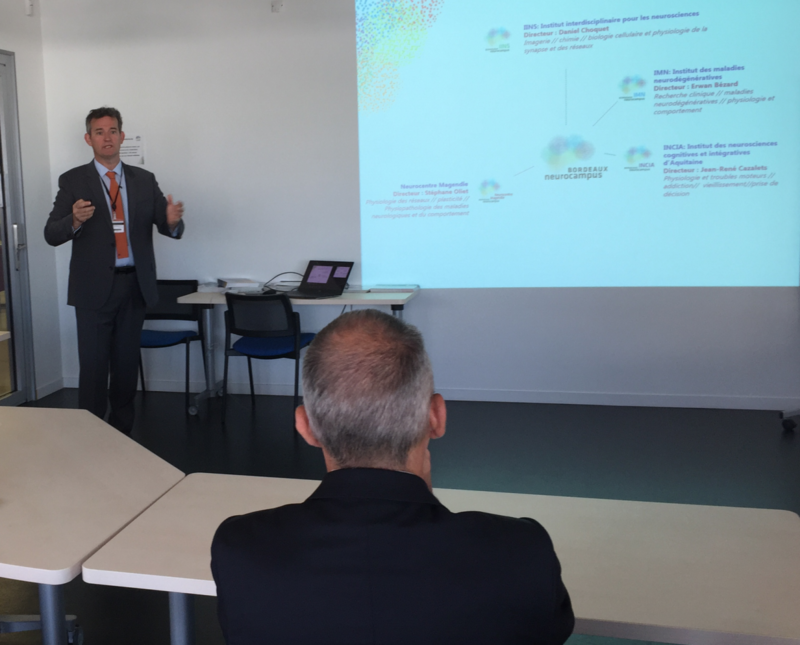 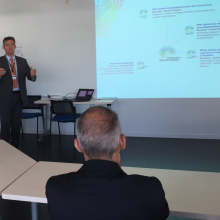 They also emphasized the stimulating and dynamic environment, highlighting notably the Bordeaux Neurocampus Federation which hosts 650 research personnel in 6 research laboratories. 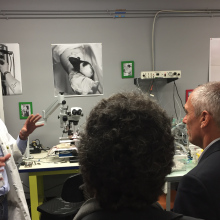 They are 230 researchers, 140 doctoral students and 200 technicians and engineers. 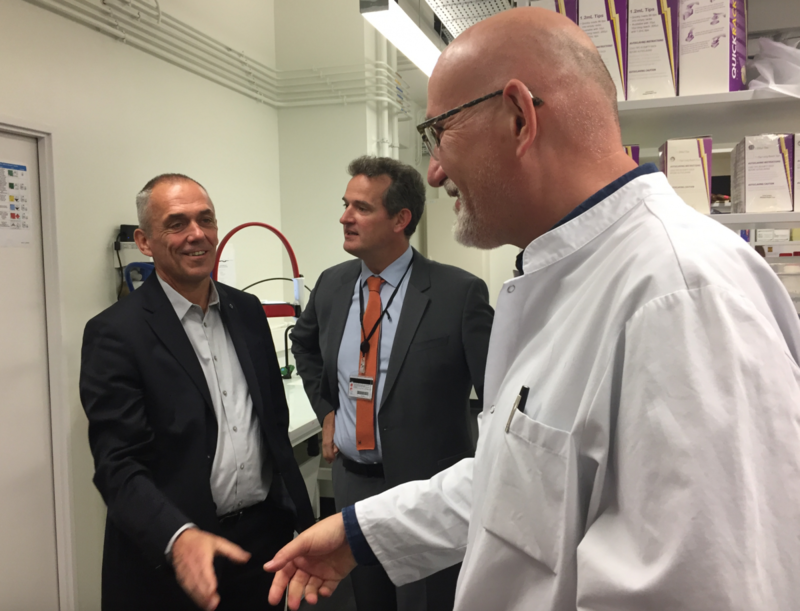 It is no less than 20 different nationalities working in this large community to unravel many of the mysteries of our brain, from the molecular aspects to the patient’s bed. 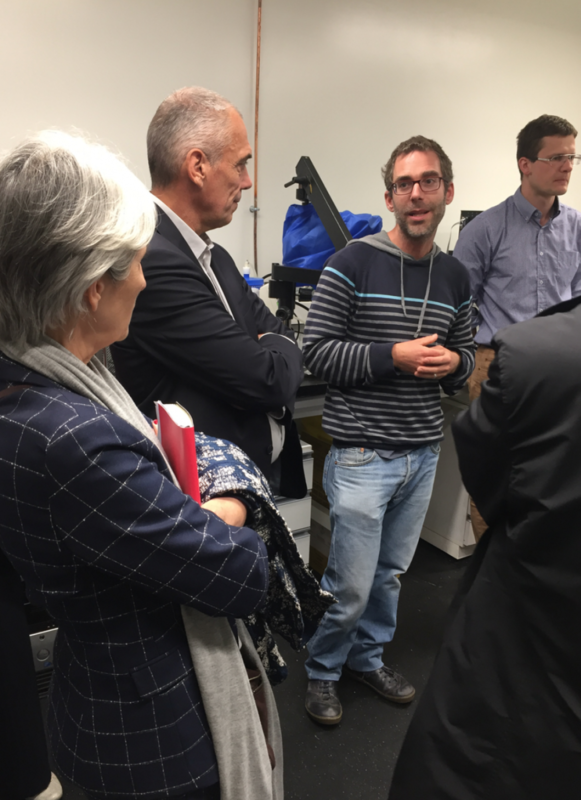 Dr. Antoine Petit did not hesitate to intervene several times, showing particular interest in fundamental and translational projects illustrating the diversity of the CNRS. 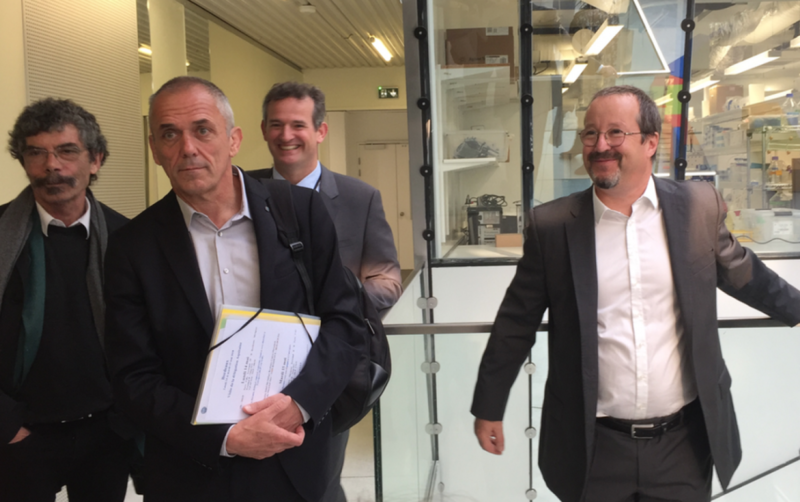 His visit ended with a quick visit to the premises, before concluding with a press conference.